ARULE of the medical profession for generations is equally applicable to floundering presidential campaigns, one in particular. Hey Ted Cruz! First, do no harm — to yourself. In the wake of his 0-for-5 showing in the Acela/I-95 Primary on Tuesday, the Texas Republican senator was apparently eager to turn total defeat into some kind of immediate, optical victory. Cruz made a decision that offers little opportunity for a dignified climbdown — except to finally, formally end a campaign that deserves to be put down. Some time between when he was undoubtedly told by his handlers that he’d be flattened on Tuesday and when the returns from the primaries were in, Cruz & Co, decided it was a good time to roll out something they’d surely have been sitting on ... waiting for the right time. 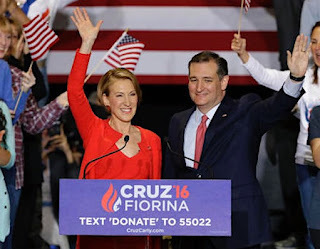 Team Cruz picked Wednesday to announce the politically unthinkable, that Cruz had chosen his vice-presidential running mate: former Hewlett-Packard CEO Carly Fiorina, naming Fiorina to join him on a ticket on its way to probable oblivion — the first time in the modern American political era that a candidate with only a marginal chance to gain the nomination, and no chance to win it outright, went so far as to name a running mate in a contested primary season. Even coming from a candidate known for being tone-deaf to his own political impracticality, it was a breathtakingly inept, transparently desperate move. With sporadic exceptions and inconsistent momentum, Cruz has finished out of the winner’s circle in primaries and caucuses all year long. On Tuesday, Cruz was routed in five states by the juggernaut campaign of billionaire attention addict Donald Trump. SO OK, benefit of the doubt. Maybe in your gut you feel Cruz’s action was a bold statement of belief in oneself, a stand on principles. And not to sell that short! We need all of that we can get. But that’s not what this is. And Ted Cruz knows it, and he knows that we know it too. Wednesday’s actions speak as loudly, apparently, as Fiorina’s own, earlier words. 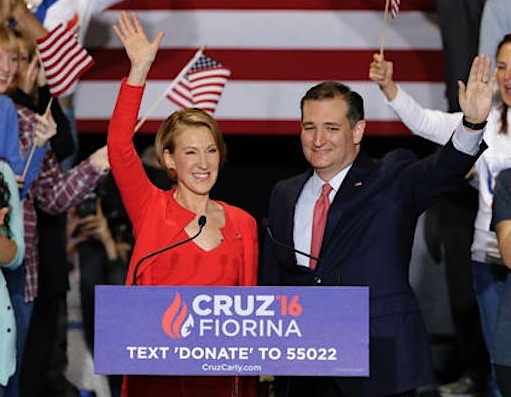 Fiorina endorsed Cruz back in early March, it’s true, but that was as much a default reaction to Trump, and to a field of other candidates that had been dwindling already, as an outright endorsement of the senator from Texas. That’s part of what makes this such a dumb move. There’s no heart in it, no belief in anything beyond seizing the news-cycle opportunity of the moment. Look closely at Ted Cruz’s eyes in the pictures of Cruz at the podium, right after the announcement. That deep terror eating away at a public façade from behind the windows to the soul? Hunter S Thompson [raise your glasses] used to describe that look as “the fear.” And Ted Cruz has got it, and it’s obvious. Cruz & Co. had reasons for doing this; there’s a calculus at work. With a move like this, Cruz clearly hopes he can limp along, get to Indiana and Nebraska on fumes, pull into the delegate-filling station of California, woo delegates from other, deceased candidacies ... and then hunker down, and pray for rain at a brokered convention — with a ticket already in place. This other, hopeful scenario takes longer to probably get to the same place. Even if the 112-member rules committee of the Republican National Convention acts on Cruz’s behalf — by releasing delegates to vote on their own personal preference rather than in accord with the popular vote itself, theoretically wresting the nomination from Trump’s little hands — Cruz’s campaign would forever bear an asterisk in political history ... even as it went down in furious flames, losing the general election in November 2016, by margins probably worse than what Trump would have if he’d taken the nomination. Cruz is losing the optical battle for competence and leadership, two of the attributes that presumably recommended him for the presidency. He’s just made more work for himself. Once political reality and sixth-grade arithmetic catch up to him, between now and California, in June, Cruz will need to explain the reasoning behind such a politically irrational action, and he won’t look good doing it because it doesn’t really make any sense. AS THE DONALD Trump solidifies his vastly more legitimate claim to be the GOP’s nominee, and John Kasich treads water and eats deli, Cruz is unwittingly positioning himself as the outlier candidate — the Republican Bernie Sanders, the candidate whose dogged adherence to principles have kept him in a race he can’t win. And that’s a perception that’s been in play for weeks now, and not something he can change by naming a running mate in the final weeks of a primary season ... when he’s 10-for-39. Ted Cruz’s 2016 presidential campaign has had the whiff of failure all over it for a while; its spotty results in primaries and caucuses since February prove that. The presumptuous stunt of naming a running mate in a campaign as mortally damaged as his is like appointing a deckhand to be Admiral of the Ocean Sea when the ship is sinking by the bow. And absent a rescue by the USS Rules Committee, it won’t change by one degree the course that ship is on. I CONSIDER myself the Republican nominee,” Donald Trump said last night at Trump Tower, at a victory rally celebrating his clean sweep of five northeastern states – a serial victory over Texas Sen. Ted Cruz and Ohio Gov. John Kasich that was, in fact, something of a forgone conclusion before the polls even closed. On what Yahoo News called Super Acela Tuesday – aptly named since the Amtrak commuter train service runs through all five states — Trump let the word go forth: He’s the man to stop, and nobody else. 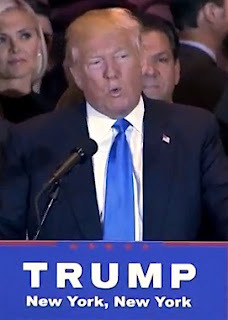 Never mind the fact that, even after winning 105 delegates in Delaware, Rhode Island, Connecticut, Pennsylvania and Maryland last night, Trump still needs almost 300 more delegates to reach the magic number of 1,237 that clinches the GOP nomination. The Donald’s fortunes have clearly been revived. 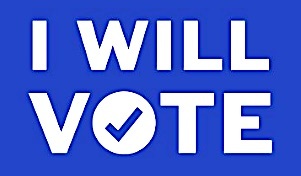 Of all the reasons why Trump has risen from the resuscitator his campaign needed a few weeks ago may have a lot to do with the voters who didn’t vote as much as those who did. 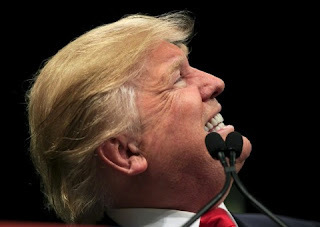 Nate Silver at Five Thirty Eight writes: “Trump faces unusually high levels of intraparty opposition for a front-runner — or at least he had seemed to until the past two weeks. But Kasich and Ted Cruz are also deeply flawed, and somewhat factional, candidates. TRUMP IS still in an enviable position compared to Cruz and Kasich, both in the delegate math and in the way he’s positioning himself in a context of inevitability — as befits a man who would be both king and kingmaker. And who’s to argue? The Koch brothers washed their hands of Trump’s campaign antics a long time ago. 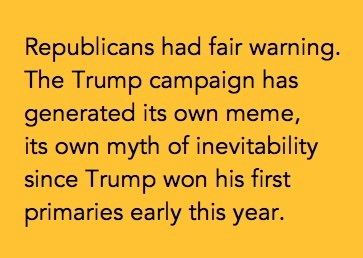 The party leadership — specifically the Republican National Committee and its operatives — have been agonizing over how to stop the Trump juggernaut for months. And they shouldn’t be surprised; they’ve had fair warning. We all have. 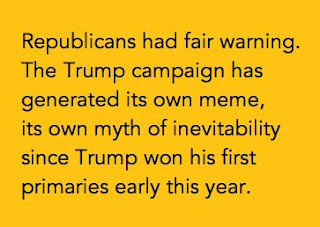 The Trump campaign has been generating its own meme, its own myth of inevitability since Trump won his first primaries at the dawn of the year. WELL ... YOU heard the man. Like it or not, we’re called on to do now, in silence and shock, what we couldn’t wait to do on dance floors and in bedrooms all over the world, all those years and weeks and days ago. 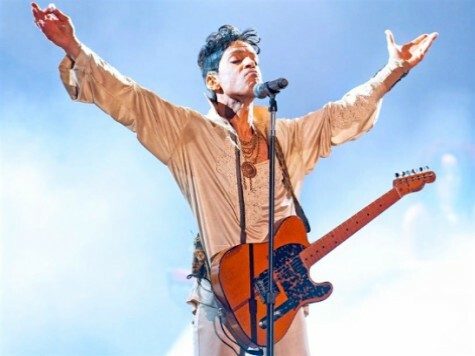 When Prince Rogers Nelson died Thursday morning, transitioning to the full spiritual realm, we just couldn’t cope; the news rattled everything, shifted the axis of everything from the moment we heard what had happened. Millions of his fans literally never knew a world without him; never mind the millions more who did, and who miss him just as much. Clearly, 36 years into his career, his ravenous work ethic never abandoned him. Neither did his spiritual side, even at the end. Like a heavenly father in his own universe, he worked for six days straight and then some — and presumably rested on the seventh. Or not. Hopefully he did. But still ... gone at 57. The light that burns twice as bright burns half as long. He gave us a lesson about getting through this thing called life. But for a world of fans, it's already been a horrible year. David Bowie. Glenn Frey. Maurice White. Paul Kantner. Phife Dawg. Keith Emerson. Merle Haggard. And now this. This deep, deep wound. For those fans, now bereft and quietly struggling with his absence, we need something more. We need something to help us get through this thing called death. The praise for Prince, the sorrow of his passing begins to hint at what we’ve lost. There’s the music, of course: its irresistible union of the spiritual and the salacious; its adherence to the protocols of funk, R&B and rock at the same time it blew those rules outta the water; its crazy voluminous output; its very existence (especially in the early albums) as the literal work of one man and one man alone. “We have lost our greatest living musician,” Justin Timberlake said on Instagram. Without question. 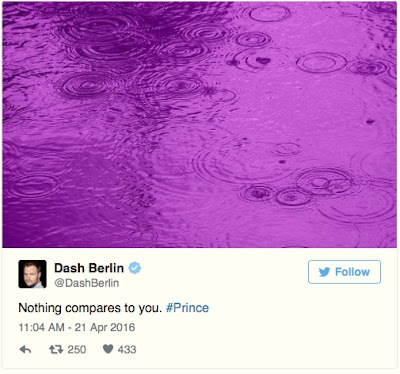 But let the record show that (when we were paying attention) we’ve already been witness to other facets of the jewel now and forever known as Prince. His steadfast insistence on creative control of his work makes him, rightly, an ethical champion to all artists, everywhere. 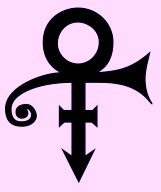 Prince’s legendary battle with Warner Bros. led to what may be the ultimate artists’ symbolic stand: adoption of an unpronounceable glyph as a new identification; renunciation of his own name in defense of his own, purer creative identity. Prince went up against Goliath and he won. His place in pop-cultural history was locked by that alone. HE WAS a songwriter, of course. Sinead O’Connor’s biggest hit, “Nothing Compares 2 U”? 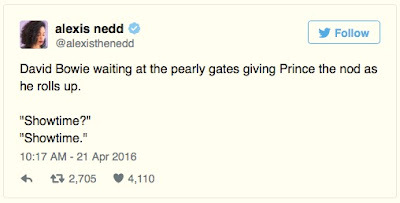 Prince wrote that. “Manic Monday,” which helped the Bangles get over? He wrote that too, and more besides. That was for other people. What got him over, starting with his debut album, released in 1978, was a stream of his consciousness that set the stage for a new sexual frankness in the musical vocabulary, and a freedom of expression in the culture. 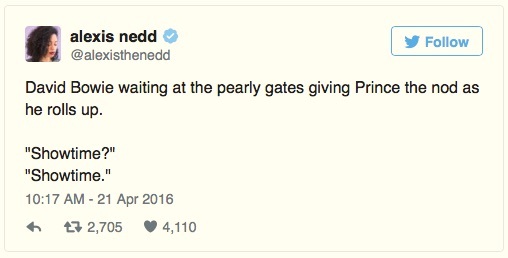 Prince delighted in pushing every envelope (and every button) there was, and we gladly went along for the ride. Thirty-nine studio albums, five soundtrack albums, four live albums, six compilations, three movies (as the freakin’ director! ), 29 tours, hundreds of live performances over a 36-year career ... and that’s not even counting the music we haven’t heard yet. But he also had a huge and largely unknown role in the national life, combining social activism and philanthropy with breadth and style. In 2001 he anonymously donated $12,000 to the Louisville Free Public Library system to keep an historic library — the first full-service library for African Americans in the United States — from shutting down. THE MAN can’t help himself. 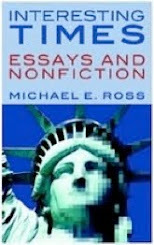 The evening when Donald Trump won the New York Republican Primary, the candidate briefly assumed the personage of someone you could almost kind of imagine to be ready to pursue the presidency as a serious contender. CNN was happy to accommodate him. The network had arranged to turn the Empire State Building red last night when Trump was projected the winner— a stunt that crosses the line from journalism to political promotion. It was all part of a signal strategy CNN had devised to immediately announce the winners of the primary, Deadline Hollywood reported. Clinton got the same treatment when she locked up the primary a little later; the building bathed in regal blue. But Trump got the honors first, reflecting pollsters’ confidence borne out — a lopsided win, a straight-up blowout for Trump over his nearest challenger, Ohio Gov. John Kasich (60%-25%). 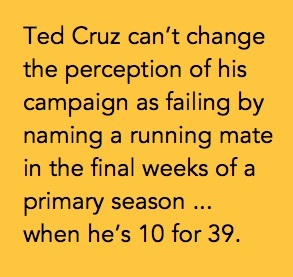 And a humiliation for Texas Sen. Ted Cruz (at 14.5%). And Trump made the most of it last night. “To the people that know me the best, the people of New York, where they gave us this kind of vote – close to 70 percent and more delegates than anybody projected in their wildest imagination, I want to thank everybody here,” Trump said in his victory speech Tuesday night. It as all over in eight minutes — for Trump, an uncharacteristically brief time with his mouth open and his right index finger pointed skyward. THERE’VE BEEN other departures from the old script. In picking his spots for TV interviews (lately sending his surrogates to do battle on the air) and making some major changes in his campaign leadership, The Donald had been moving away from his trademark brash, deliberately confrontational style of politics. For a while there was less calling Texas Sen. Ted Cruz “Lyin’ Ted” and apparently fewer calls from the podium to forcibly remove protesters at his campaign events. He’s been trying to make a pivot to something closer to a general election strategy, starting to make nice with former adversaries, showing the world a kinder-gentler Donald Trump ... just in time to be taken very seriously. Then, of course, it all went to hell in a handcart, fast. The minty-fresh Trump surrendered to the sarcastic control freak of the past. At a rally in Indianapolis, hours after Tuesday’s big win in New York, Trump again invoked “Lyin’ Ted,” and singled out a protester: “OK, go, get him outta here,” he said as police bundled the protester out — a not-quite pantomime performed for the umpteenth time since Trump launched his campaign last June. It didn’t stop there, of course. Never shy about using every weapon available, Trump rubbed it in on Twitter. "Ted Cruz is mathematically out of winning the race," he tweeted today. "Now all he can do is be a spoiler, never a nice thing to do. I will beat Hillary!" All guns blazing all the time, win or lose. The man can’t help himself. Trump’s triumph in New York was as much a victory for regional politics and American primary-season realpolitik as anything else. He was expected to win, first on a favorite-son basis (childhood in Queens, longtime builder of businesses in NYC), and second because of the vacuum of candidates in any position to challenge him on his home turf. Cruz isn’t nearly well-enough known or liked there. Kasich made the moderate-Republican noises that some secret Trump supporters wished to God they’d hear from Trump, but Kasich wasn’t doing well enough in the polls with moderate voters to be much of a challenge for Trump. Kasich’s second-place finish in New York, ahead of Cruz in a distant third, is another triumph for the same kind of regionalism that’s made Trump the bell cow, right now. BUT DON’T get it twisted. The Donald Trump we’ve been seeing for the last ten months is very much the @realDonaldTrump — the same persona we’ve encountered in the mediasphere for decades: the brusque, bullying buccaneer for whom an attack unanswered is by definition a defeat. It’s the same belligerent showboat style we came to know watching Trump impresario his NBC reality show “The Apprentice” for seven seasons. It’s the same swashbuckling spirit that generated his ambition, his fortune and his reputation as a ruthless businessman who’s just fine with the lives left damaged in his wake. And he’s the same Donald Trump who has imagistically reinforced the distinction between Us and Them, aggressively cultivated the great divide between haves and have-nots that persists — one of our two deepest wounds — in this broken nation today. 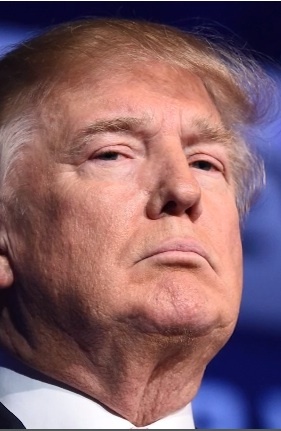 "No shift in tone, message, or policy at this point is going to erase anyone’s memory of how Trump has been conducting himself and his campaign for many, many months now," said Liz Mair, Republican strategist and founder of Make America Awesome, an anti-Trump PAC, to USA Today. 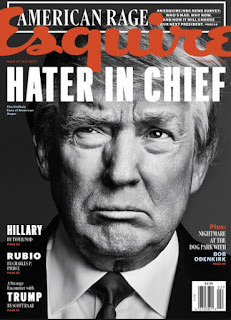 From the gold-and-leather adornments on everything he designs to the regal, imperious embellishments of his own identity, inherited or his own idea — all hail “The Donald” — Trump is a symbol of everything a broad-based populist presidential candidate is not. 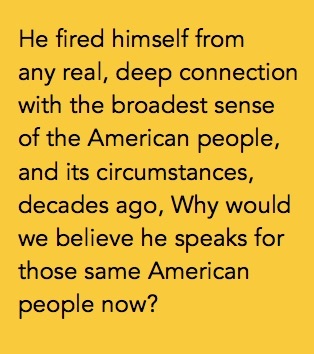 Donald Trump fired himself from any real, deep connection with the broadest sense of the American people, and its often precarious circumstances, decades ago, and he’s never sought re-employment since then. Why would we believe he speaks with any gravitas for those same American people now? DONALD TRUMP’S greatest political vulnerability is himself, his past, a public history that, in its totality, has as many weaknesses as strengths for the current Republican frontrunner. At its beating heart is the ethos of a businessman with the motive instincts of a shark; the author of an up by-the-bootstraps biography whose subject never really had to deal with bootstraps in the first place; a showman with a grasp of the size of the stage ... but not quite as sure a command of the size of the audience. 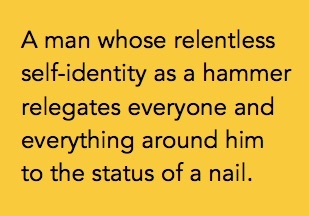 All the pivots in the world can’t change what Donald Trump has always been, what he’s tried to be relative to the people he considers his underlings: a man whose relentless self-identity as a hammer relegates everyone and everything around him to the status of a nail. He won’t change that in himself in a year on the campaign trail; how he changes people’s perception of that in a country that is only partly a business, and never a dictatorship, is the open question.